Suffering a catastrophic injury in Pennsylvania can often be difficult because the injuries are frequently severe, and have a long-term impact on the victim’s overall health and quality of life. Those same difficulties also can also create a strain on the victim’s family. But those who have suffered catastrophic injuries in Pennsylvania are not without protection. Under Pennsylvania personal injury law, victims of catastrophic injuries may recover compensation from the wrongdoer who caused their injuries. That compensation can include items such as medical care and rehabilitation, lost wages, as well as payment for the pain and suffering that may have resulted from the injury. Many Pennsylvania lawyers hold themselves out as experts in the representation of catastrophically injured people, but few truly have the experience and resources necessary to effectively represent those victims. The Philadelphia personal injury lawyers at McLaughlin & Lauricella have a history of successfully prosecuting catastrophic injury cases in Pennsylvania. What Is a Catastrophic Injury in Pennsylvania? Reflex Sympathetic Dystrophy (RSD) as the result of compression injuries or surgical mishaps. These injuries can occur as a result of different circumstances such as traffic accidents, work-place accidents, near drownings, playground or school accidents, medical malpractice, improper product design, or even simply slipping and falling. Victims of a catastrophic injury generally have two years after they knew, or should reasonably have known, that they suffered an injury to file a lawsuit in a Pennsylvania Court. 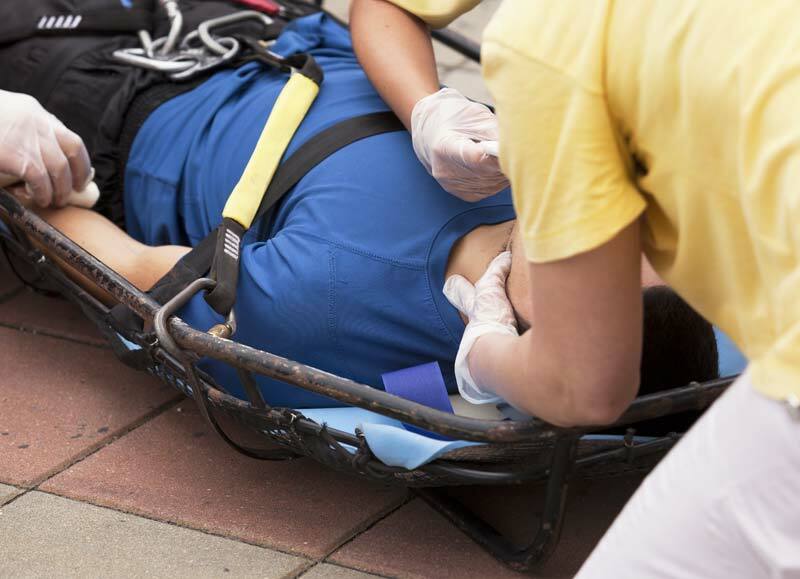 In the event that a minor is injured, the minor has until age 20 to file a lawsuit. In the tragic event that a patient dies, whether the patient is an adult or a minor, any lawsuit must be filed within two years of the date of death. Our attorneys represent catastrophically injured clients across Pennsylvania. Ranked by many as two of the best personal injury lawyers in the region, Slade McLaughlin and Paul Lauricella are setting record verdicts for their clients. The attorneys at McLaughlin & Lauricella, P.C. have decades of experience handling catastrophic injury cases in Pennsylvania, and they can put that experience to work for you. Contact McLaughlin & Lauricella, P.C. today at 215-568-1510 to see how we can help ensure that you receive the compensation you deserve. Our attorneys represent catastrophically injured clients across Pennsylvania and New Jersey. If you or a loved one has suffered an accident or injury, you should reach out to the best personal injury lawyers to protect your legal rights.